According to the local department of tourism, every day 200-300 international visitors visit the bridge in addition to many more locals. 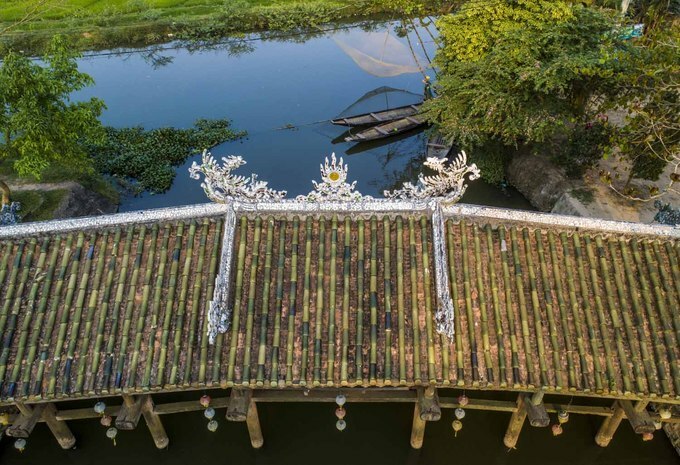 The bridge was built by a family member of the Tran Dynasty kings, who was also a descendant of one of the village founders. The woman offered the money to build the bridge. It is made of wood and is 18 m long and nearly 6 m wide. 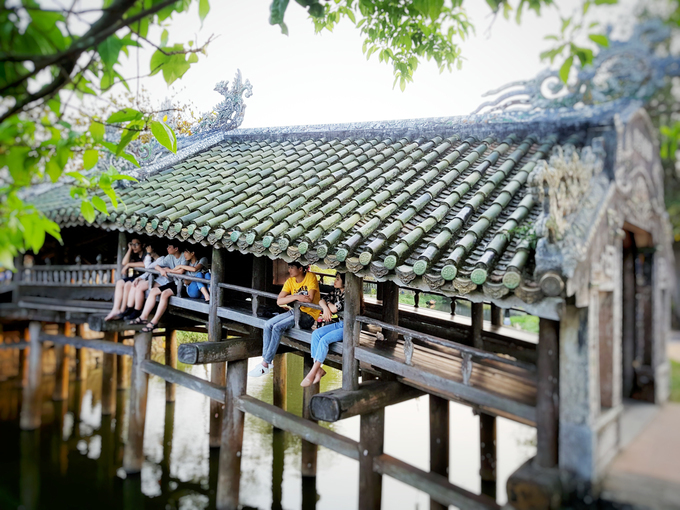 This is one of the few bridges with this particular architectural style remaining in Vietnam. 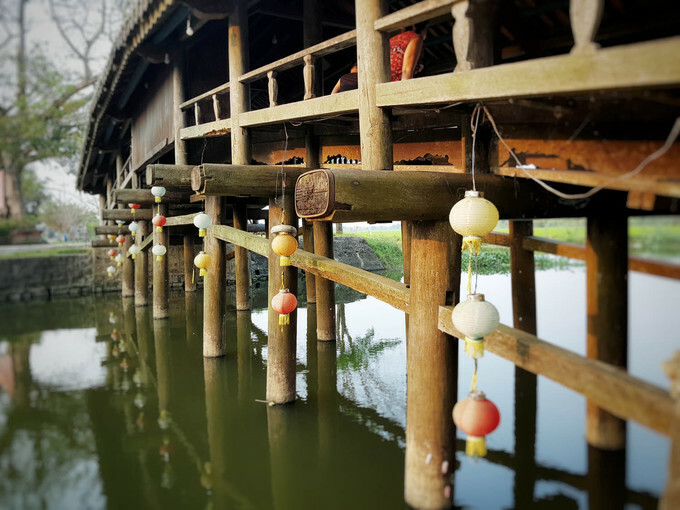 On both sides of the bridge is a row of wooden platforms and railings for people to sit and dangle their feet while enjoying the view. 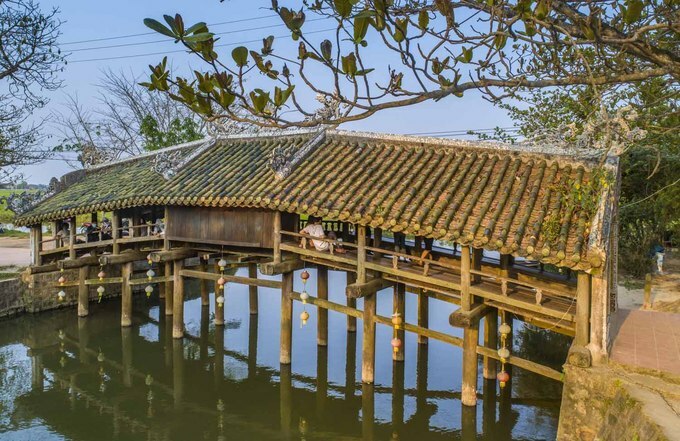 The wooden piers degraded over time, but after several restorations, Thanh Toan Bridge retains its original beauty. The bridge's roof is built with enameled tiles and the bridge is divided into seven sections. The middle is reserved for people to worship and pay respects to its builders. The bridge was recognized as a national monument in 1990. 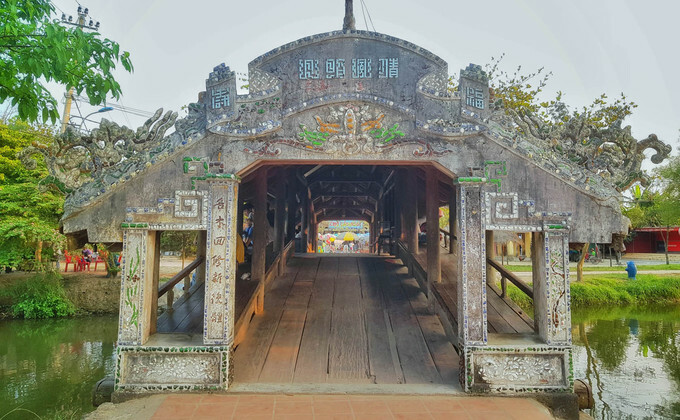 The lovely image of Thanh Toan Bridge inspired a postage stamp in 2012. Visitors can also enjoy the bucolic rural sights next to the bridge. Next to the bridge is a market and several small cafes. 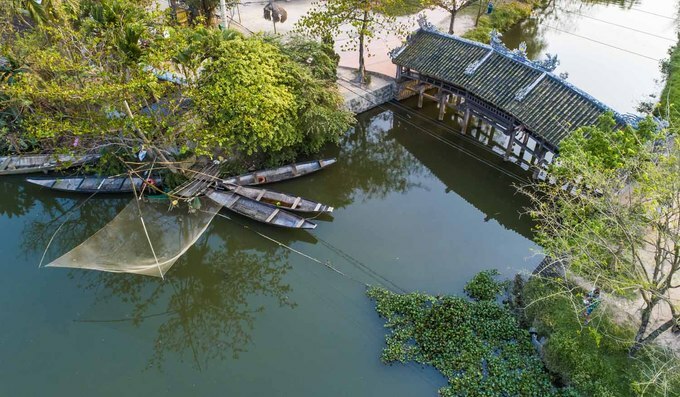 Local authorities plan to offer a range of activities to attract tourists like boat rides on the Nhu Y River below and setting up a night market by the bridge. 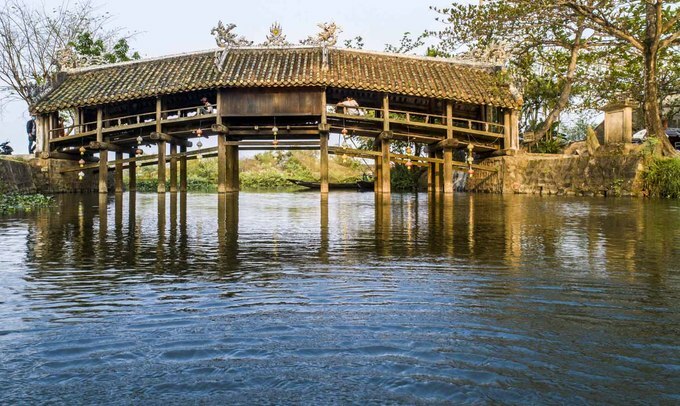 Thanh Toan Bridge is around 8 km southeast of Hue. 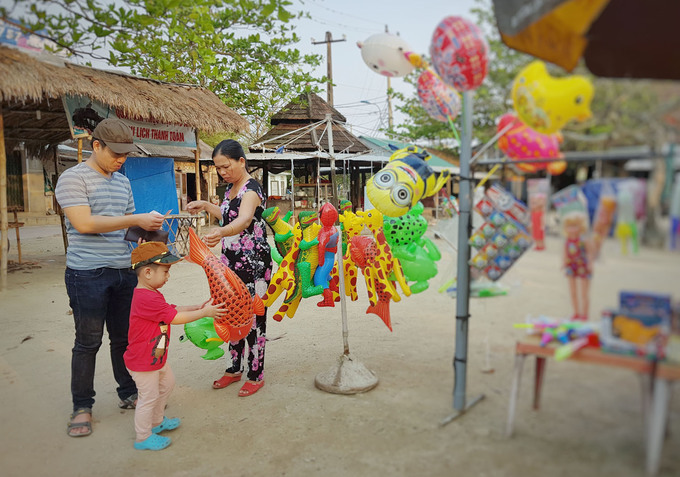 Visitors should come down Truong Chinh Street and the bridge will appear just past an apartment building.